GET YOUR EXCLUSIVE CRACK A SMILE T-SHIRT – Mic Righteous releases his first garment in collaboration with ELECTROCART247.CO.UK at 10pm on 21/04/12. Limited stock available and the first 50 purchased will receive a free signed photograph. London rapper Jamieson premieres new video “I’m Losing Faith,” the second single off his forthcoming EP I Saw, I Came Vol. 3. Directed by MonStar Films, the song is a complete 180 from the hard hitting first single “Rebel With A Cause,” picked up by 2DopeBoyz, VladTV, The Hip Hop Chronicle, DJ Semtex and more. Over a melodic beat produced by 20SYL, Jamieson and songstress Shareen Amour encourage listeners to keep pressing on no matter what their situation. The song is personal for the London born lyricist who dropped everything and moved to the states to pursue his music career. Jamieson got his start in music as a producer and naturally graduated to the pen. With an opportunity to intern at SRC Records on the table in the winter of 2005, he packed his bags and set up shop in the South Bronx section of New York City. 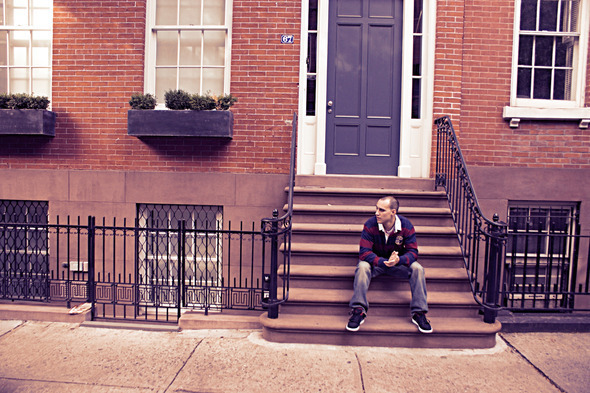 Fast forward only a few years later, Jamieson has collaborated with Emilio Rojas, Sean Price Joell Ortiz and opened for the likes of Akon and Mobb Deep. And his gritty lyrical ability has not gone unnoticed, catching the attention of industry heavyweights such as Doug Morris (Chairman & CEO, Sony Music), RZA, Yelawolf, B-Real of Cypress Hill and more.